* Songs about love, death and hookers. 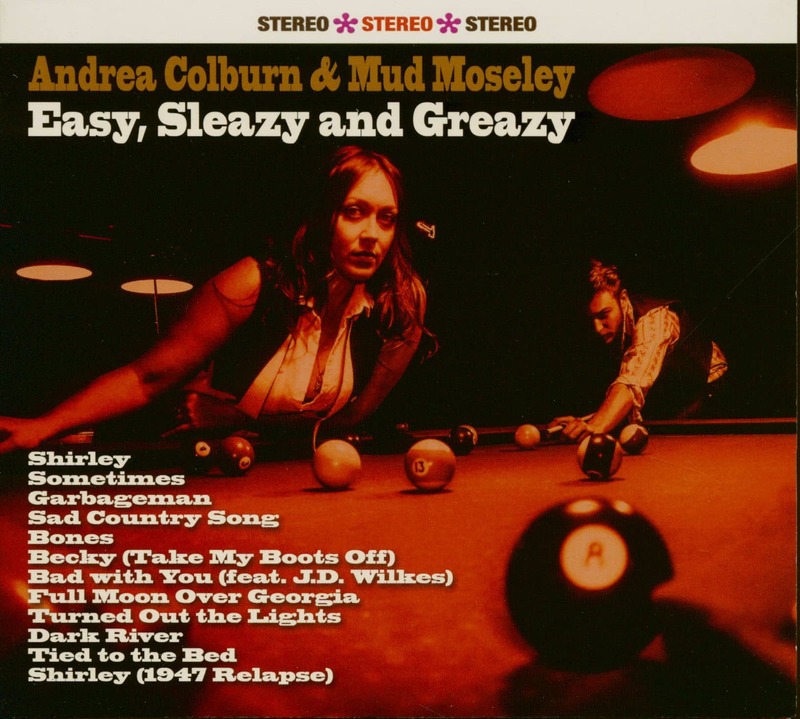 * Sounds like Doc Watson and the Cramps had a heinous love child. * Winner of 2016 GA Music Award for Best Americana/Bluegrass Band and 2018 Ink & Oil Award for Best Americana/Roots Band. 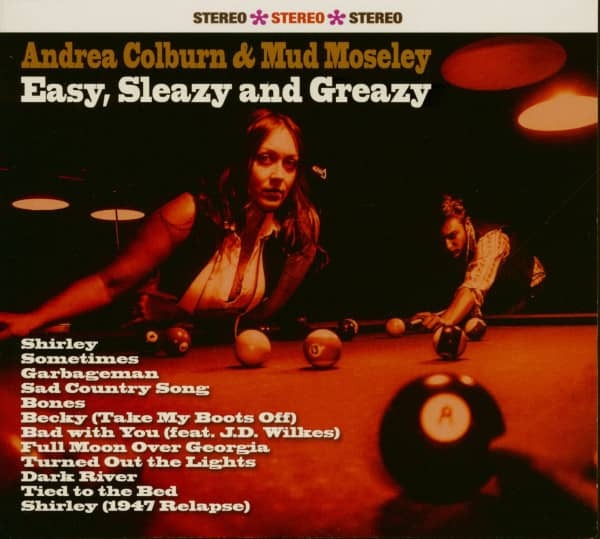 "Andrea Colburn & Mud Moseley"
Andrea Colburn and Mud Moseley sound like a panther screaming in the middle of the night, like a band of gypsies at a tea party, like a carefully curated hullabaloo held in a Wild West funeral home. Like Doc Watson and the Cramps had a love child. 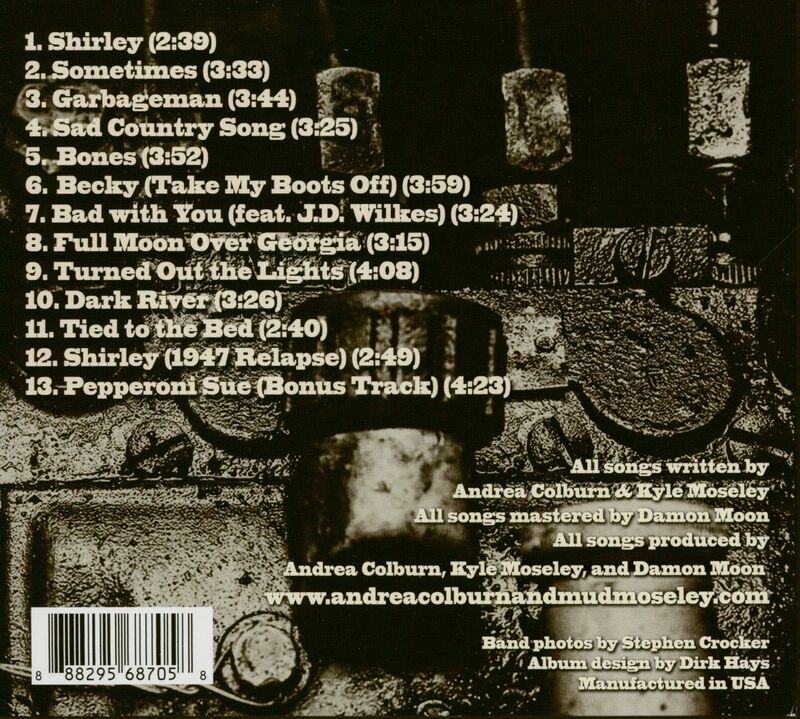 Just as much influenced by Willie Nelson, Tom Waits, and Hank Williams Sr. as new Country acts such as Colter Wall and the Deslondes, Colburn & Moseley keep somewhat of a traditional country and blues feel all while giving it their own haunting, part Piedmont, part psychobilly spin. Part Flat Duo Jets, part Bonnie and Clyde, this is not a performance that you will want to miss. 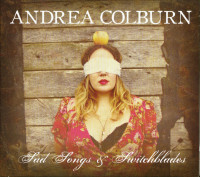 Andrea Colburn was born and raised in NW Ohio. After a difficult move to St. Louis, MO at 13, Andrea turned to music and poetry. Highly inspired by Bobbie Gentry and Led Zeppelin, Andrea wanted to learn to play guitar, so her mother bought her one as a gift at 14 years old. She half-heartedly learned and played throughout high school, but didn't stick with music. After life led her to Georgia in 2012, and she was befriended by a large group of bikers and musicians and she met all the right people, she started writing songs and performing almost immediately. They say Mud Moseley was born somewhere near Winder, GA but this information could never be confirmed. He was found in the woods one day with nothing but a guitar and a pair of overalls. After intensive etiquette classes/reform, Mud was still considered a threat to himself and others and was released back into the wild. Rather than going back to his feral life, he decided to bless the world with his music and moved to the big city. The rest, as they say, is history. 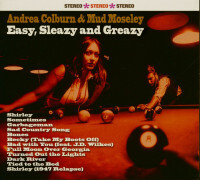 Customer evaluation for "Andrea Colburn & Mud Moseley - Easy, Sleazy and Greazy (CD)"